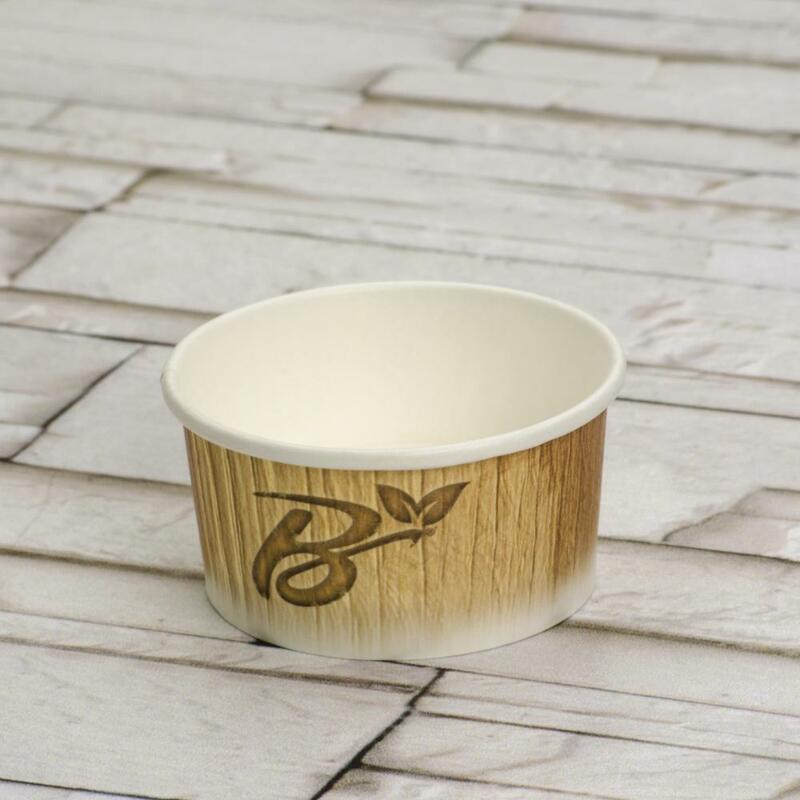 Ice-cream cup with capacity of 90 ml, made of solid board hot combined with bioplastic film. For could products in general, but also hot. Made of pure cellulose solid board lined with a PLA (corn starch) film. 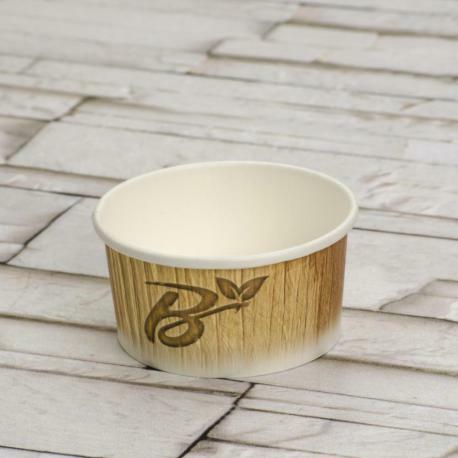 Robust, high quality cup perfect for professional use. For could and hot beverages up to 70 °C. It is suitable for contact with any type of food as required by UE and international regulations. It is not suitable for microwave. Totally biodegradable and compostable according to EN13432. The proper disposal of solid board hot combined with bioplastic film ice-cream cup is in the organic waste. This environmentally friendly product, for sale on Ecobioshopping, can still be recycled in the container of recycling paper. If dispersed into the environment by mistake, it degrades naturally without a trace.